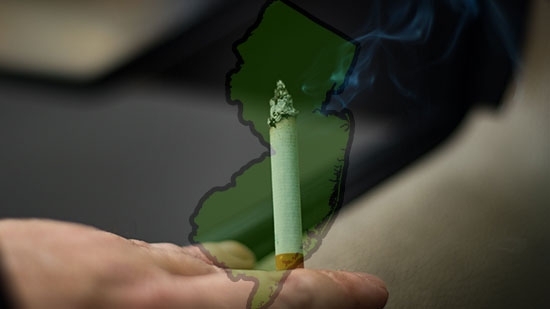 Governor Chris Christie has signed a bill that raises the smoking age in New Jersey from 19 to 21. The law bans sales of tobacco products and electronic cigarettes to anyone under the age of 21. Retailers can be fined up to $1000 for selling to an underage person. Christie said in a statement, "By raising the minimum age to purchase tobacco products to 21, we are giving young people more time to develop a maturity and better understanding of how dangerous smoking can be and that it is better to not start smoking in the first place... My mother died from the effects of smoking, and no one should lose their life due to any addictive substance." Hawaii and California are the only two other states where the smoking age is 21. The law takes effect in four months. US Attorney General Jeff Sessions was in Philadelphia this afternoon to speak to federal, state and local law enforcement officials on a variety of issues. He spoke to the group at the U.S. Attorney's office in Center City. It included Philadelphia Police Commissioner Richard Ross and police chiefs from the area. He stated that the federal government is prepared to help against violent crime, which is up 11% nationwide. Sessions also took time to denounce municipalities with a 'sanctuary city' policy, including Philadelphia, and urge them re-think their stance. He gave an example of a man who was released by Philadelphia authorities instead of being held on a request by Immigration and Customs Enforcement. That men went on to sexually assault a child. Afterward, Commissioner Ross said that his department shouldn't be in the immigration business and problems with violent crime come mostly from citizens not immigrants. Around two dozen protesters with Refuse Fascism Philly were out on Chestnut Street during the meetings inside. Sean Spicer resigned as White House Press Secretary this afternoon. He objected to the hiring of New York financier Anthony Scaramucci as communications director on Friday morning. Spicer will serve through August. Deputy Press Secretary Sara Huckabee Sanders will become the new press secretary.